It is that time of year again. March 3rd marked my 28th birthday. I was not planning on doing much this year, but I was determined to have a nice cake to cheer me up. So Oppa and I set out in search of Lotte, which I had been to 3 or 4 times since first moving to Maryland. I unfortunately did not know the exact location, so we spent 2 hours driving all over Maryland. 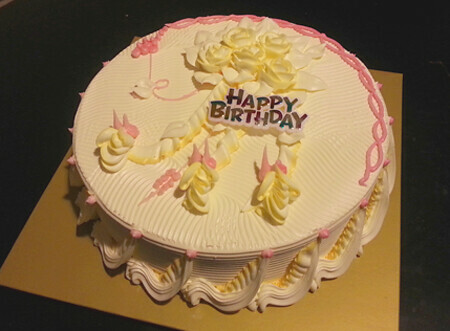 After the 3rd store, we finally found the right one and Oppa bought me the cutest vanilla cake. I especially loved the rose bouquet. 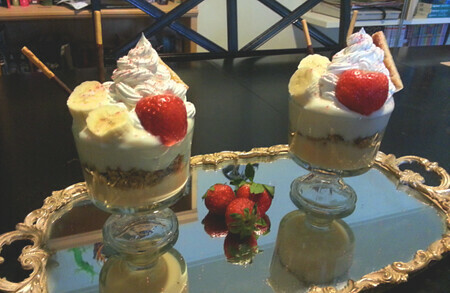 While there, I thought it would be a good idea to try making parfaits for dessert later that week. I had given up on trying to find a local shop that makes parfaits. I can find the ingredients, decorations, and cups at any of my local stores so I decided that I will make my own. These are not the best looking parfaits, but they were delicious. And besides I have to start somewhere. This year I received a few very nice gifts. Some of my particular favorites were a blue deco phone case, a blue heart keychain with my name, and a plushie blueberry milk phone charm. 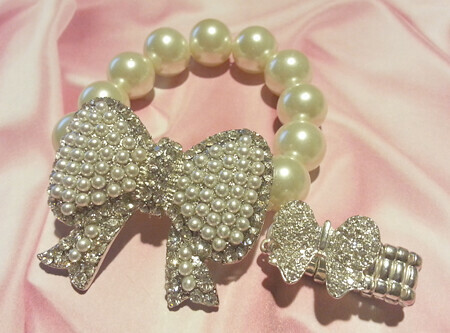 I also recieved a bow bracelet from Tama and an elastic band bow ring from Oppa's little sister. But definitely the best presents were from Oppa. 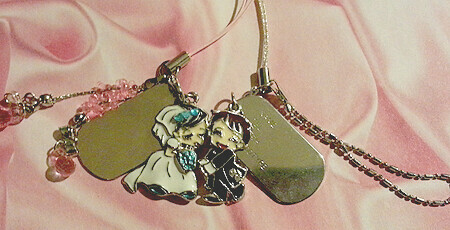 He gifted me with married couple magnet phone charms. They connect at the head, so it looks like the bride is kissing the groom's cheek. Another of his gifts is actually a Christmas/Birthday combination present. 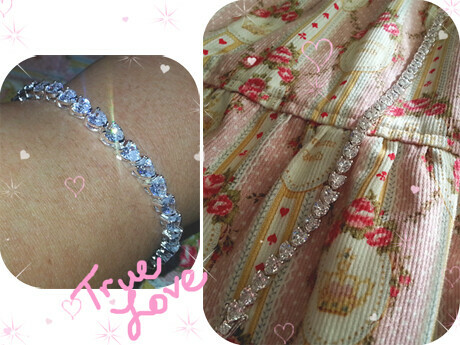 A heart tennis bracelet. I am very thankful for all of the well wishes and gifts I have received. My birthday was definitely a great boost to my self esteem. Whenever I was feeling down or inadequate this month I would just give a quick glance at my e-mails, lovely gifts, and cards. Thank you everyone! It looks like you I had a very lovely simple birthday with a beautiful cake and gifts.